EXCLUSIVE SAVINGS FOR COLLEGE GRADS. CALL NOW TO GET YOUR DEAL — 800-872-2697! If you are a recent college graduate, you have places you want to go, which is why at BMW of San Francisco you can get $1,000 OFF a New or Certified Pre-Owned BMW vehicle when you purchase a BMW and finance with BMW Financial Services. No matter which model you choose, you can tell the world you have arrived – for less than you think. You’ve earned an undergraduate, graduate or associate’s degree from an accredited college or university within the previous 24 months OR you are eligible to graduate within the next 6 months and have a verifiable offer of employment. So College Grads, act now to get your extra savings during our holiday sales event. 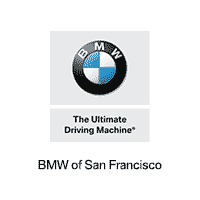 Call 800-872-2697 today or simply fill out the form on this page to secure your College Grade Rebate from BMW of San Francisco! Offer subject to credit approval through BMW Financial Services and verification of graduation and employment. Recent graduate means graduation from an accredited college or university with a doctorate, graduate, undergraduate, or associate’s degree earned within the previous 24 months, or is eligible to graduate within the next 6 months and has a verifiable offer of employment. To qualify, you must have a minimum of 6 months of credit on file and no previous derogatory credit on any credit lines. Finance and lease terms based on credit score. See your BMW Client Advisor for most current program.